The music of Infrared Experience is made by guitars and guitar effects. NO synths or programming! 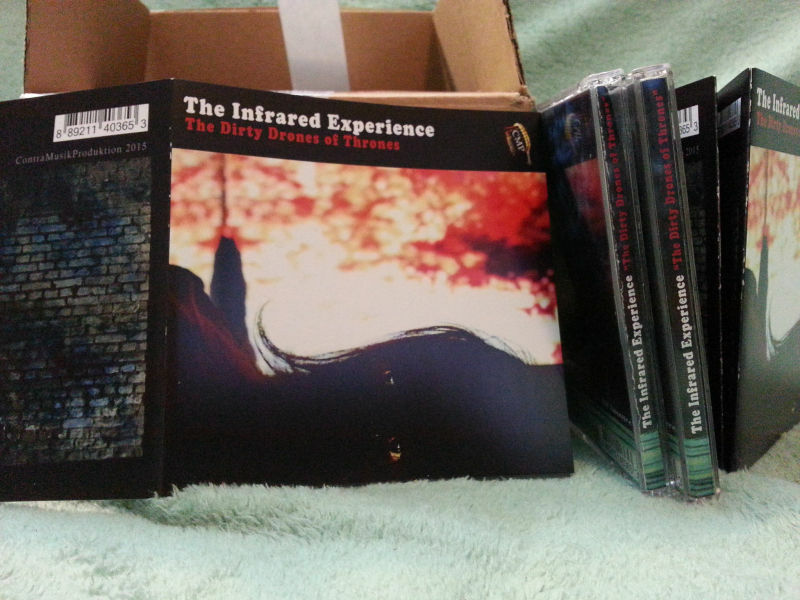 With the 3rd official album , The Infrared Experience are releasing a really deep, dark, somehow avant-garde like and psychedelic, hypnotic drone guitar soundscape album. It is filled with thoughts about politics, greed, corruption, addictions, triviality of today's life and the real life behind the mask, humans like to use to hide their real identity. The Infrared Experience is using only guitars and effect pedals to express their thoughts and music. No computer sounds and no voices, so no lyrics, just the track titles like "Lies of Democracy", "Don't let 'em Steal Your Integrity" or "Life after Corruption", for example. 9 exclusive tracks, 45minutes and an excellent album with the strong title "The Dirty Drones of Thrones". 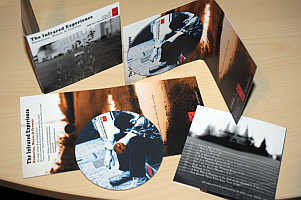 presented from your favourite label with the big toothbrush "ContraMusikProduktion (CMP)"
The complete artwork of the printed cover has been created and photographed by Mr. Ralf Rabendorn, who also helped with the recording and general production and this and that. People who like the music of "Stars of the Lid", early "Pink Floyd", "Windy & Carl", "Amp" "Flying Saucer Attack" and similar music! 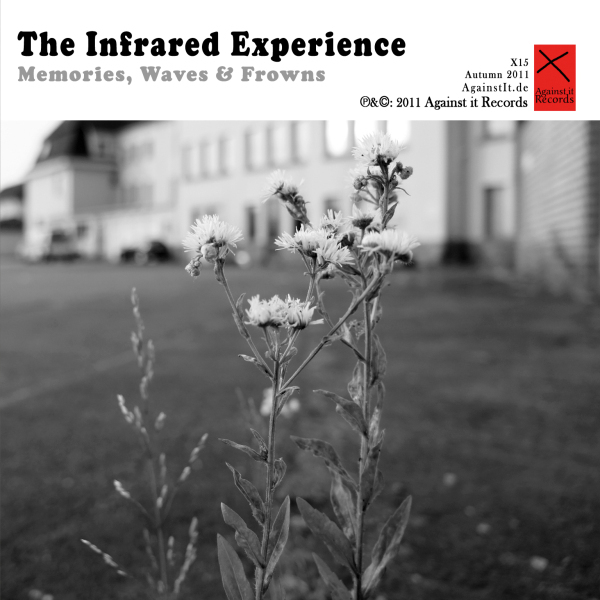 We welcome back The Infrared Experience (Location still unknown) with a brand new instrumental CD and there is an enormous variety (or creativity, if you like) going on here. 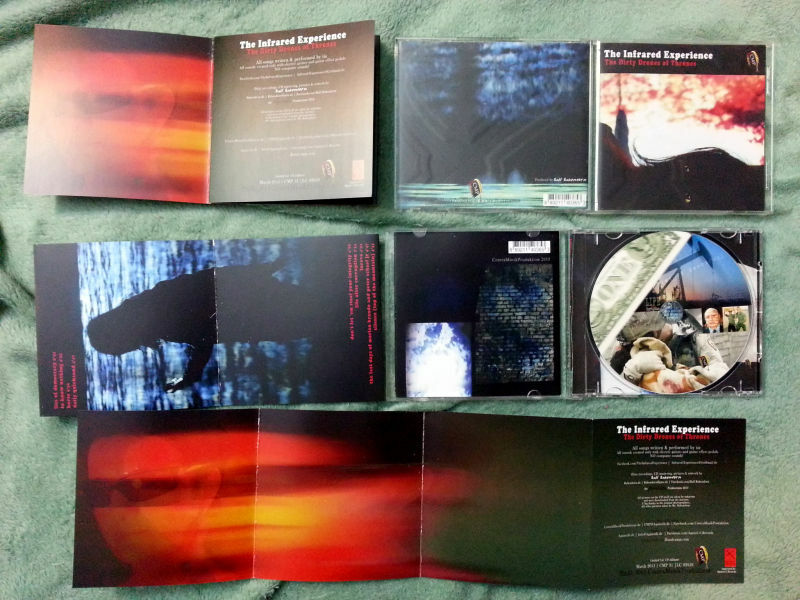 From experimental & contemporary music to (guitar) post rock to organic (guitar) ambient (sometimes dark) soundscapes. then we have these experimental songs and finally tracks who are more or less floating. All these tracks fit together nicely and combine to an excellent "whole". Sometimes it is hard to believe that all sounds have been created only with electric guitars and a few guitar effect pedals, but it's a fact. 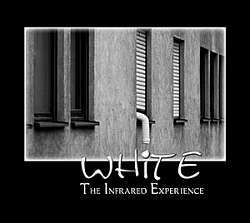 This is the second full length album by The Infrared Experience and it is probably even better than the appreciated debut "White". But you really need to listen to the entire album to appreciate the variety & ideas. NEW COVERS printed by a professional printing plant! and its idea to release unique little jewels as a REAL release. All songs have been exclusively recorded for our new 3 way split series. 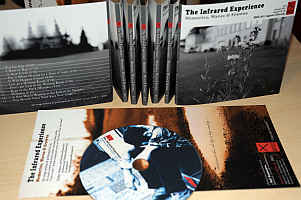 “The Infrared Experience” (6 tracks) from planet earth offers you music created only by an electric guitar and a few fx pedals (no programming/editing/software), although one could think that many different sound sources have been used. 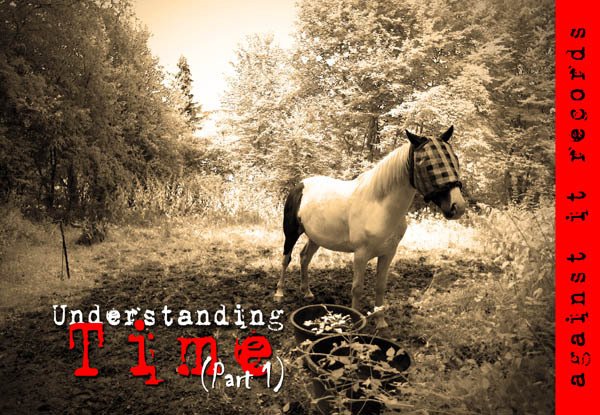 The music can be experimental, (dark) ambient, but also (melodic) ambient post rock. It is the second official release after the album "White". “Bleeding Thorax” (3 tracks) (USA) creates sounds of an intense and often spooky atmosphere. Somehow minimalistic but also hypnotic. 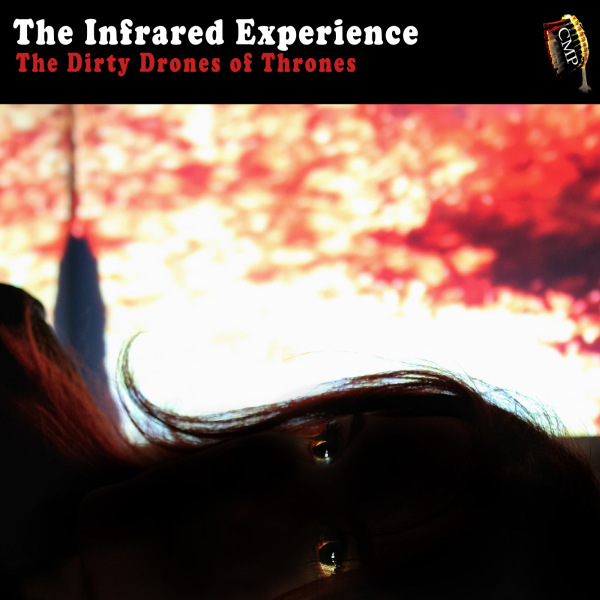 From darker drones to ambient noise. This is the first official release by this fine project. but these exclusive songs belong to the best tracks that FBP has recorded so far. Minimalistic ambient guitar sounds mixed with vocal samples (movies). You have these spacey drones but also experimental(jazzy/concrete)ambient guitar tracks.Very good work indeed! Pure instrumental guitar project with two "faces". A few songs are really melodic, beautiful. Some kind of ambient post-rock. On the other side there are these disturbing sound textures in some songs. For friends of ambient guitar/(ambient) post rock/ MEDUSADA/ experimental guitar/ ambient etc..Friends of early Kranky stuff, Flying Saucer Attack, Roy Montgomery,Windy&Carl, etc. could also like this album. It's important to mention that No Computer, No Samples and No Synths were used. Just one guitar and a few effect pedals. Check out our new official distributor (CD's). Our digital versions of our albums are also available through their Digital Download Department on Bandcamp for fair prices! Please use the PayPal "add to cart" buttons :) which lead you to a PayPal site in english language. Do not forget to add a valid home address!!! We will send you a mail, when we have received your order. At your own risk, but we never had troubles with it. Do NOT forget to add the shipping costs to the shopping cart. ALL our CD's are high grade professional long life duplicates with special silver bottom side (like pressed CD's). Professional printed and sealed surfaces (full colour), or professional thermo print (black). 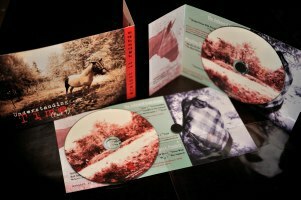 We only offer Pro CD-R's and sometimes regular pressed CD's. You won't receive cheap home burnt CD-R's. Better quality is only possible with pressed CD's. 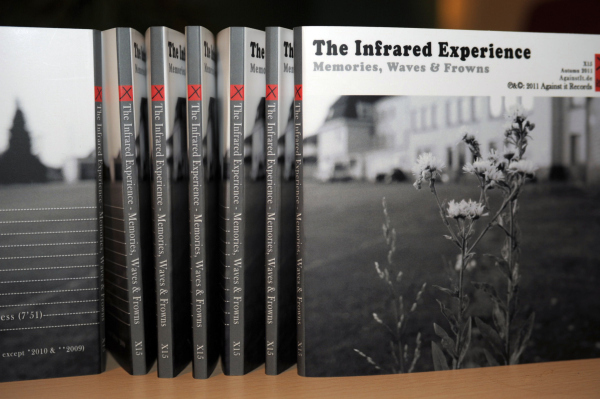 Our newer covers are always of highest quality, printed by a professional printing plant. Older releases may come with home made covers but msotly with professional printed real photographs, though these releases are rare! Just look through our release list in our shop. Normally we include all important informations. If you should ever receive a "faulty" copy, then send it back and we will send you a new one.